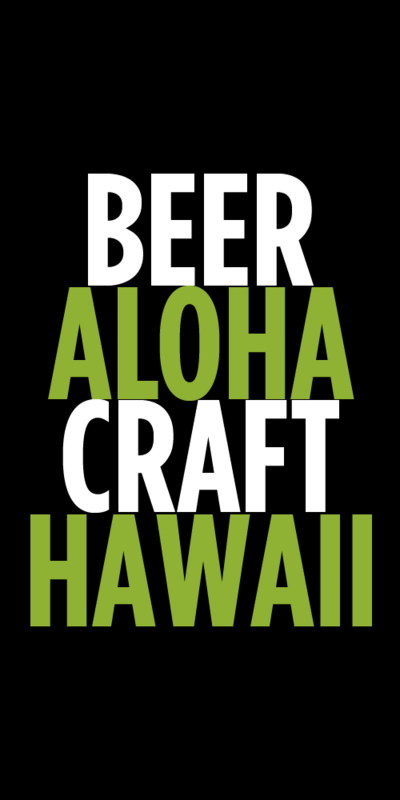 This post has nothing to do with beer in Hawaii. Rather it’s my commentary on the beer industry and the amazing, passionate people that love to drink beer. 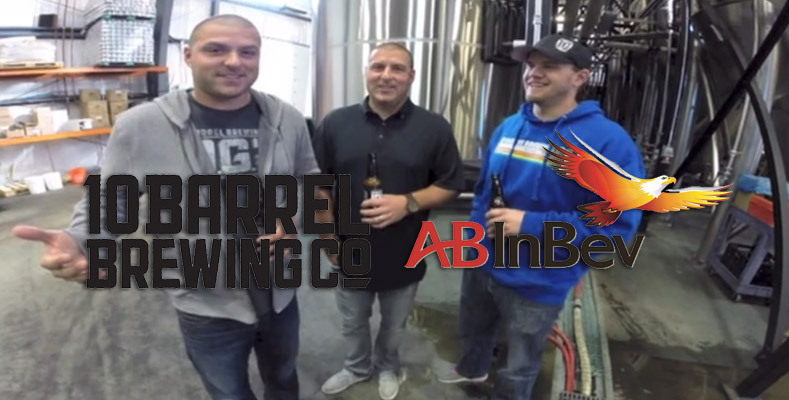 If you follow the beer world closely, then you’ve probably already read the news that AB In-Bev recently purchased 10 Barrel Brewing Company in Bend, Oregon. For most people not from Oregon or familiar with the many outstanding breweries there, you’ve never even heard of 10 Barrel. They are a moderately small brewery that has been growing very rapidly over the past few years, but is primarily only found in and around the Pacific Northwest. That is all probably going to change with the acquisition by the world’s largest beer company. For many fans of the brewery this news was met with abrupt and harsh criticism towards the brewery owners for “selling out.” There are worries that the beer will suffer and become less interesting, the process and ingredients cheapened and the breweries flagship beers will be brewed in far away breweries. All valid concerns, but ones that we will have to wait and see to make judgement on. For those that instantly label the brewery owners as sell outs (you can view the mass of harsh comments on Facebook) I’d ask you to stop and think before you bash them. If you’ve never owned or started a business, then you really have no idea and calling someone a sell out is ridiculous. I understand your passion for your beer and local brewery, but lets put ourselves in the owners shoes and take a broader look at the beer industry and owning a business in general. It takes an incredible amount of guts and pure stupidity to open a business, any business. You have to be willing to risk everything for a dream and be willing to work an ungodly amount of hours for years to try and make it a success. There is a very good chance you will fail, but you still take the leap, invest your life savings, put your house and your family’s finances on the line, borrow money from friends, family and maybe even some investors. If you’ve never done that in your life, then you have NO IDEA what the owners of 10 Barrel have gone through to open and build their business. I’ll go out on a limb and say it hasn’t been easy and opening a brewery is extraordinarily difficult. Many of the people slinging “sell out” comments have and will never know how hard these owners have worked. I have this take because I’ve owned a business and know how incredibly difficult it is. You wake up everyday with the weight of trying to keep your business going and making sure that the people that work for you are going to be taken cared of. You also feel the responsibility to make sure that your investors will eventually make their money back and hopefully profit. The beer industry is no different than any other. It’s a business and you have to be able to make money. It is just really hard to make money in the beer business. To start even a small brewery will cost you hundreds of thousands of dollars and that is before you can even sell your first pint. You need to be willing to risk your own money, or beg, borrow and steal enough to get started with the hopes that you will find an audience to buy your product. To grow your brewery you’ll need even more money…millions! Try to imagine what it feels like to have a multi-million dollar loan over your head and the responsibility of dozens of employees who count on you for their paycheck. And you thought your mortgage was a big, stressful life long commitment! My long winded point here is that the owners of 10 Barrel Brewing Company should be congratulated, not slammed. They are living the American dream. In any other industry in America people would be stoked for the success these three guys have achieved. They built a company from the ground up with years of hard work and finally found a decent payout that allows them to continue to grow their brand. If this were a tech company would it be a different story? Would it be hypocritical to say I won’t drink a beer owned by AB In Bev (a large publically traded company) yet use an iPhone, where clothes from Quiksilver that were purchased in Target, buy my food from Safeway, shop at Costco, where Nike shoes. Think about it, why do we choose to place our big evil company ideals only on beer and not with practically everything else we own? Beer fans are passionate. 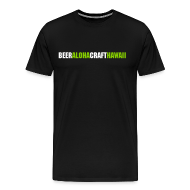 For anyone who has become a “craft” beer drinker in the last 10-15 years, they have felt that they are part of a special group. We drink things that are different, unique and not what the masses drink. We love have our little niche and hold on dearly to the breweries that we love and have a personal connection to. While 95% of the beer drinkers in America continued to drink the mass produced stuff, we all knew something better and had something special to talk about. I know that feeling well. In high school we listened to bands like Blink 182, Sublime and Green Day long before they were all over the radio and MTV. Somehow once that happened and everyone knew of them, those bands became a little less special to us. It will happen in the beer world as well. Of the thousands of breweries across this country, only a few will ever get big enough on their own to really be national and most of those will be breweries that have been around for 10+ years. Very few of the breweries that have opened in the last 2 years will ever get to the size of Stone, New Belgium, Sierra, Firestone and the like. The amount of capital needed to get to that size in an increasingly crowded market is so immense and the time need to get to that size so long that very few if any will be willing to invest the money or time. The beer industry in America is still very young and we’re only now starting to see it mature. That means consolidation and market corrections. A lot of breweries will open up, a ton will close down and even more will get gobbled up by larger breweries. Don’t be shocked if some of your favorite “craft” breweries start buying up other smaller regional players. And you can count on the big two, AB In-Bev and SABMiller, acquiring more regional breweries. By the end of 2016, I bet that AB In-Bev will own a small regional brewery in each part of the country (they’ve already got the Midwest – Goose Island, Pacfic Northwest – 10 Barrel, Northeast – Blue Point.) There are plenty of brewery owners who have spent the last 10+ years killing themselves building their breweries and trying to keep up with expansion who are going to be willing to sell. It’s an exit! Anyone who starts a business one day dreams of an exit, whether it be selling your company, an IPO (really not much of a reality in brewing), or growing it to a size and profitability that you can pass it off to your team to run. I don’t know very many people who want to work 80 hours a week and have mountains of stress for their entire life. Here is the positive I see in all of this. Like any other industry, there will always be small players who create unique, artisanal and limited supply products. We’ll always have a ton of small, awesome breweries to enjoy. We’ll also start to get access to a lot more breweries that get bigger, either on their own or by acquisition. The beer world is going to change. The macro producers know that they need to produce better quality, more flavorful beers and have the cash and means to do so. Anheuser Busch has the technical resources to produce incredible beer, it’s just that up until now, they’ve chosen to use those resources to produce the lowest common denominator. Any craft brewery owner would kill to have the technology, equipment and access to raw materials that the brewers at AB have. If you’ve read all the way to this point, I apologize. I have a passion for not only beer, but also for business. Too many times, I see people commenting on things that they themselves have no experience in. I’ll never tell you what to drink and if you choose not to drink anything from 10 Barrel Brewing Company in the future that is cool. But, please don’t bash the owners for making a decision that none of us really have any insight into. These guys deserve at least a bit of credit for working harder than most of us ever will in our lives. I hope you comment below. Agree or disagree, I love to hear what people think. Tags: 10 Barrel Brewing Company, AB In-Bev, Opinion. Bookmark the permalink. Good post. As a business owner, I totally agree with you. Well said! I think my only argument to this would be that for the most part, the majority of us are not in beer for the money, we’re in it because we have a passion for a craft, artisanal product. Of course money is necessary and we all want to be successful, and more power to them for making this dream come true. I guess it’s just hard for people to accept that a small brewery, who has almost bragged about their loyalty to their craft product, can just sell to a giant conglomerate. To us, craft beer is different than a mass produced cell phone or article of clothing. It’s like shopping at the mom & pop shop, supporting the local community and being proud of the fact that you do. Many people supported 10 Barrel based on those qualities and they are going to have to do a lot to gain some trust back. There’s plenty of other craft breweries out there who satisfy our taste buds and our beliefs. My only challenge would be that not all craft breweries are the same. The term “craft” is massively deceiving and doesn’t justly represent the wide range of brewers and breweries. I don’t consider a brewery that produces 40,000+ barrels a year and is distributed in multiple states to be a “mom & pop” business. At that point, it’s a fairly large business and more than likely one that is trying to grow and get bigger. A small single brewpub that only produces to a local audience is something I’d label “mom & pop.” I believe at the heart of a lot of the problems is the term “craft” and how it has been manipulated over the years. It served it’s purpose to help a certain segment of the beer industry resurrect itself after near collapse, but now as the market and industry matures, it is going to only cause greater confusion and potentially hurt brands as they try to grow. There is a massive difference between a company cranking out 100,000+ barrels and one that is only doing 3,000. Just as there is a massive difference between AB’s millions of barrels compared to 100,000. Artisanal is also a dangerous word to use along with craft. How can something be artisanal (hand made, small quantity) when it is produced on a automated system in large quantities in an industrialized system? Love the conversation and this is what makes being part of the beer world right now so fun. Well said! If the new owners’ beer is no good, don’t drink or buy it. That’ll teach them. But we don’t need to dump on the folks who’ve already made a good beer and took it this far. I enjoyed this post immensely and it was well timed for me to read after my vacation. This past week I was on the mainland in Richmond, VA for a wedding and got to enjoy the exploding craft beer scene there. I fell in love with one brewery in particular at their annual Gingerbread Stout release party (500+ people lined up in an industrial park at 10pm to purchase bottles coming straight off the production line). During the course of sampling their amazing brews and talking, my brother and I wondered about the future of the industry. While I love the dizzying array of beers available at places on the mainland, it feels unsustainable. One brewery we went to had a packed tasting room, while another was virtually empty. Both had good beers. I’m sure many of the smaller breweries will come and go, maybe even a few that I really like. I suppose its inevitable though, and if a place is putting out truly great beer in an area with passionate people then they will probably survive. I don’t fault the guys at any brewery for “selling out.” I think I would be personally disappointed if one of my favorites got bought up, but I hope I would continue to enjoy their brew unless and until it lost the characteristics that made me love it in the first place.